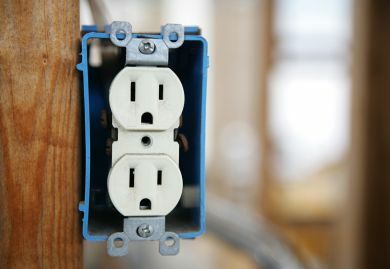 Odds are that you don’t give your electrical outlets and switches much thought beyond safety and the occasional surge protector purchase. However, there are many new kinds of switches and outlets are now on the market, any one of which could be a major boost to your home’s convenience and ambiance. Some of these electrical products could even make your home a little more fun to be in. Many of our cell-phones, laptops, tablets, and other personal electronic devices utilize a USB port for charging purposes. With the addition of an outlet with a built-in USB port, the days of trying to find room to charge your electronic devices are now over. Now you won’t need to unplug items in order to charge your phone or laptop. If you choose to wire this new outlet yourself, you’re only looking at spending $20-$40 dollars per outlet. Not only are programmable outlets and switches a great way to manage your home’s power usage, they are also quite affordable. It is also useful for Private Offices in reducing the power bill. These types of outlets safely turn off power after a certain amount of time, and most come equipped with a built-in surge protector. Programmable light switches work in the same fashion, which makes them ideal for kid’s rooms. Both of these will run an average of $25-$50, depending on features. Hands-free light switches have been around for a while now, but while the idea isn’t new, the technology has improved greatly. Some come with body heat detection, motion sensors, and a time delay. Adding a time delay feature fixes the earlier issue of the lights shutting off once they didn’t detect any movement. The infrared light switches are paired best with smaller rooms, but sound-triggered switches (like the Clapper was) work very well in large rooms. For versatility, look for a unit that offers settings for multiple lights. Also, be sure that spontaneous noises, such as a loud TV or crying baby, won’t accidentally trigger the lights to shut off. These switches start at $20 dollars for simple sound-trigger options, to as much as $200 for the infrared models. LED touch panels allow you to simply touch a panel to turn on a light, or a stroke of a finger to adjust the amount of light in a room. Not only do these varieties make your home look sharper, they also save a lot in utility costs. While these have been enjoyed in Europe for some time now, American manufacturers are starting to take a keen interest in developing these technologies here. These can be ordered online for about $70-$100 per panel, and are starting to catch on here in the states. The price will eventually become more affordable once domestic manufacturers start churning them out. All of these products are extremely affordable for the amount of convenience and versatility they can provide. However, be sure to have a professional involved with any changes that involve more than simply swapping out switches or outlets. Any job that would involve new wiring should be done by a professional handyman or a licensed electrician. Safely and properly installed, you can enjoy all of these convenient products for many years to come.